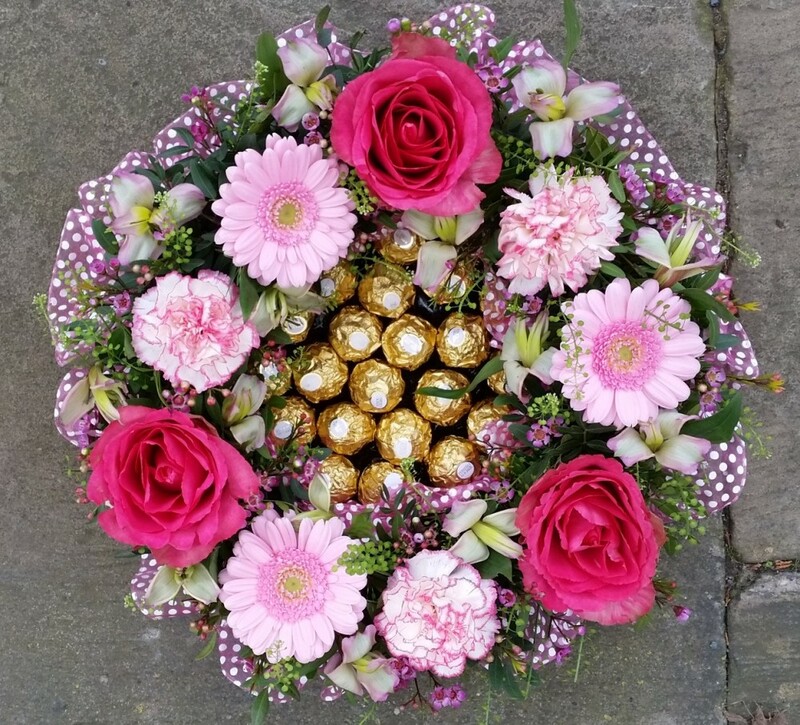 Here's something for that special person in your life, flowers and chocolate all in one! This stunning flower ring is collared with a delicate organza ribbon ruffle full of beautiful seasonal flowers all encompasing a sweet centre filled with chocolates of your choice from Fererro Rocher, Lindt, Mini Eggs for easter or any popular wrapped favourites!! (or choose simply roses as the flowers if you prefer a more exravagant gift - Please call for pricing options) Also available in a range of colour options.